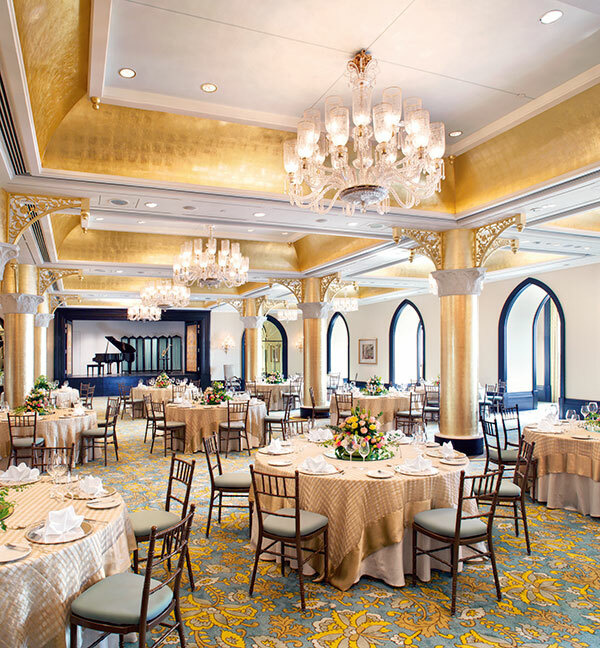 As India celebrated its 64th Independence Day, the re-named Taj Mahal Palace in Mumbai re-opened its newly renovated Palace Wing. The image that announced this celebration, full page, in city dailies, was one of jubilation and joy, of rising above adversary and destruction. The picture of the entire staff of the Taj lining the iconic stairwell with festive balloons and placards in hand, was a heartening one. Finally, the phoenix had risen from the ashes, even as India had made a tryst with destiny so many years ago, on that fateful date. And it is indeed a newer, more brilliant version that has emerged. A visit to two of the brand-new suites throws up surprises in the form of contemporary décor, elegant use of technology as well as an abiding respect for the traditional contours and lines of the rooms and spaces. Every detail has been worked upon to give the guest a more comfortable and luxurious experience. 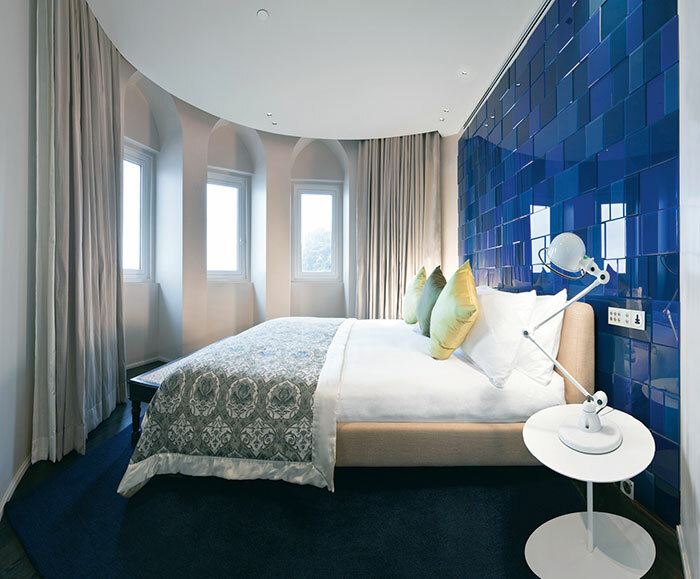 This is the old hotel in a new avatar that continues to celebrate its pedigreed vintage. And it is a hotel that has understood tragedy and learnt from it. Torches, cranks to open stubborn windows and security are today all in place, unobtrusively. The rooms are also wired with high-end technology, making for a comfortable stay. 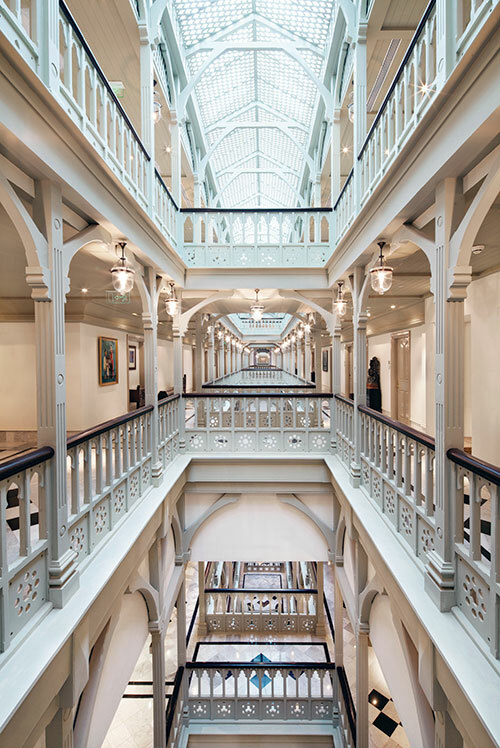 An extensive restoration has been carried out by internationally acclaimed designers, Lissoni Associati, Milan; BAMO San Francisco; DesignWilkes, Malaysia and James Park Associates, Singapore. Each and every suite has its own character and décor and offers a different experience. 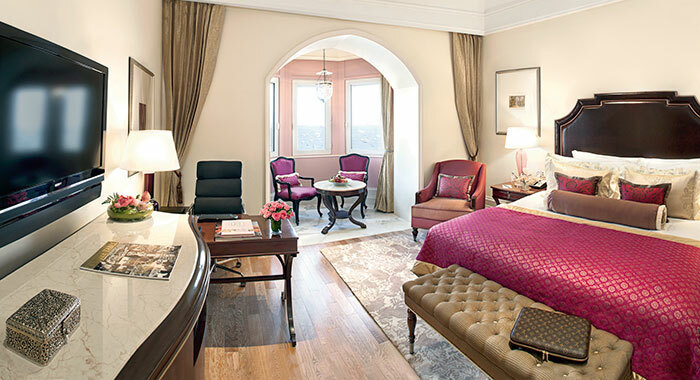 The accommodations include the Taj Club Rooms, Grande Luxury Rooms, themed Grand Luxury Suites, each displaying modern facilities with precious art collected over the decades, collectables and streamlined accoutrements. Elegant Jaguars transfer guests to the hotel and a warm welcome, in the long tradition of the Taj hotels. All guests in the Palace Wing experience a personalised Palace Butler Service and can also look forward to a customised bath experience. The Palace Lounge, beautifully and elegantly fitted out on the ground floor of the hotel, provides an exclusive haven for Palace guests where they may enjoy a refreshing beverage in luxurious surroundings, far from the madding crowd.